Guest post is provided by Start Pac. You cannot have too much standby power on hand when it comes to something as important as aviation. 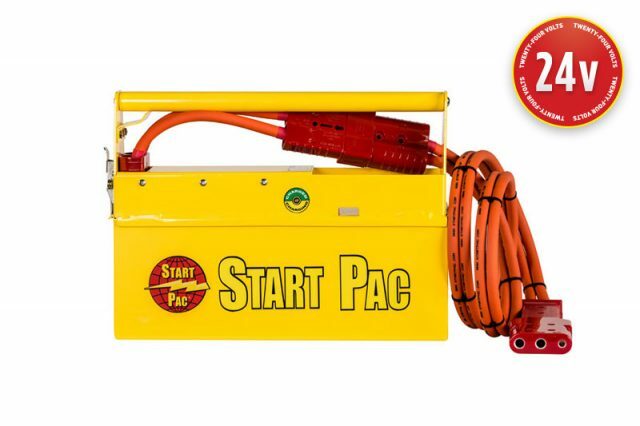 Whether the need is for a small or large size turbine engine, there is an aptly matched portable battery pack to suit it. There are also different uses for these power units. Not only is it important to match the power output needed for your aircraft, but it is also important to know the difference between which types of power unit to use for the particular situation. Many units are specialized and are not designed to fulfill all functions which helps to keep them efficient and portable. Ground power units carry with them specific benefits and help reduce the carbon footprint on the airport runway. These ground units can be large depending on the need and have a variety of uses from pilot training to maintenance tasks to providing power during runway taxiing. However, many companies also provide much more portable solutions for additional power that are so light weight that they can even be carried on the aircraft. There are specific power units that serve the sole function of having enough built-in charge to provide turbine engines with the power needed to start. It is important to note as well that using the right voltage battery pack is key as some aircraft will only accept certain voltages. Matching the required voltage also ensures proper charging and aircraft safety. Other power units provide starting power as well as power to sustain aircraft maintenance functions without having to rely on the engine’s battery life or power from the turbine. These types of units are ideal for remote locations where relying on battery power alone would be wasted on simply performing maintenance checks. Another type of portable power unit is one that serves as a means to charge the on-board battery. This is particularly useful for small to medium sized aircraft that may be landing in remote locations and need to charge their batteries before their next flight. Much like the units that provide starting power, matching the right voltage is also important here. These types of units provide sustained energy for charging batteries, but not the output needed to generate strong starts. There are also smaller power units that are ideal for powering up aircraft cockpits or running aircraft systems like the GPS without having to rely on the battery on-board which can then be reserved for engine starting. A 24 volt power supply, for example, is light weight and easily portable on an aircraft and can be used to check the avionics. Guest post is provided by Start Pac. They have a solution for all your portable power needs. Find them at www.startpac.com.